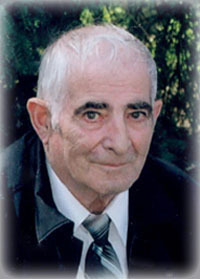 On September 27, 2018 Mr. Bernard Dekergommeaux of St. Paul, Alberta passed away at the age of 86 years. He is survived by his daughter, Shelley Zacharuk; 2 grandchildren, Samantha & Daniel; 3 sisters-in-law, Anne Johnston, Gail (Ron) McHugh & Joyce Hippisley; special friends, Louise Kievits & Marielle Watson; numerous nieces & nephews. He was predeceased by his wife, Laverne; son, Allan; parents, John & Odette; son in infancy, Richard. At Bernie’s request, no service will be held. Cremation has taken place. If desired, donations may be made to Haying in the 30s (Cancer Support Society) c/o 5626 – 51 Street, St. Paul, AB T0A 3A1. To send condolences online, please visit www.gracegardensfuneralchapel.com. My deepest condolences. My heart goes out to you at this difficult time. My uncle Bernard will be missed he was a kind man and loved. You will be missed!! I miss seeing you now and then, like before. May your soul rest in peace, and may you be with your family and friends again! If desired, donations may be made to Haying in the 30s (Cancer Support Society) c/o 5626 – 51 Street, St. Paul, AB T0A 3A1.